« Is Oracle Using Canonical to Counter Red Hat? I say this often – a little too often – and I’ve hammered home the point in various blogs, to say nothing of calling out people who “review” alpha or beta versions of distro releases: Reviewing an alpha or a beta version is akin to sticking your finger in a bowl of cake batter and writing about how a baked cake is going to turn out. That said, this is not a review of the Fedora 21 Alpha, released yesterday, but rather a test drive of a version that is destined to be improved upon when it is released in December. So now you can have your cake batter and eat it, too. First, a moment of silence for the untimely demise of the Fedora Release Name, as Fedora 21 doesn’t have one. Fedora had the best process for release names, causing spirited debate and possibly fisticuffs along the way: $CURRENT_RELEASE_NAME is a ________ and so is $NEXT_RELEASE_NAME, with the blank being filled in with whatever the current name was. Fedora 20 Heisenbug was the last of the named Fedora releases. As part of the Fedora.next initiative, Fedora 21 boasts three products for release in December: Cloud, Server and Workstation. Bear in mind that “Workstation” is the current Fedora-speak for what Fedora used to call “Desktop,” which of course was the default GNOME desktop, and nothing has changed there. There are a variety of desktop spins available for the Fedora 21 Alpha offering – KDE, Xfce, LXDE, and Sugar on a Stick (SoaS) — if you so desire to test drive it and help report bugs. Each product will use the same packages for the kernel, RPM, yum, systemd, Anaconda, and other things, according to the Fedora 21 Alpha release notes. For the purposes of this article, we’re just going to look at the Fedora 21 Workstation Alpha – both the default GNOME version and KDE desktop spin. If you want a breakdown of what’s available in the Cloud and Server versions, you can see Paul Frields’ excellent article in Fedora Magazine. 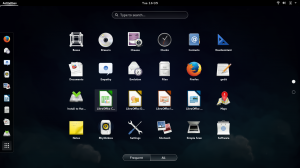 Fedora 21 Workstation is expected to have GNOME 3.14, which is due to be released in late September and which includes many new features like integration of Picasaweb and DNLA media server support in GNOME Photos and more. For developers, Fedora 21 also includes the new DevAssistant tool by default. DevAssistant helps developers set up environments for their projects, so they can concentrate on writing code. DevAssistant is one of the new additions to Fedora 21, allowing developers to set up environments for projects. 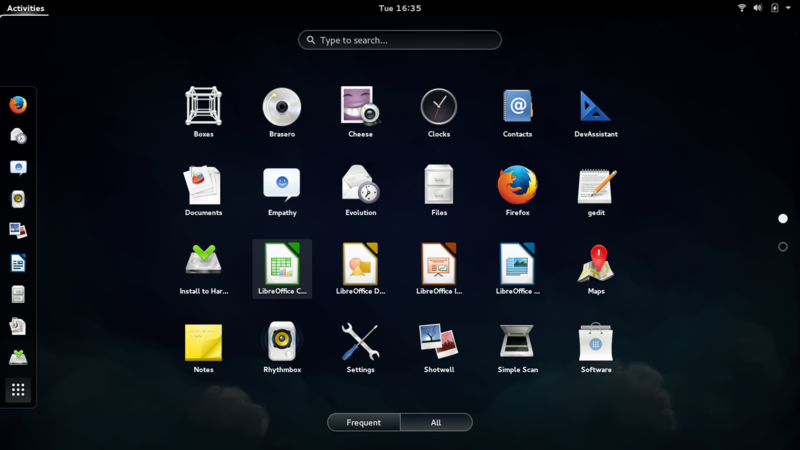 The Fedora 21 Workstation Alpha I tried with the GNOME desktop – it is GNOME 3.13.91 on the live USB – operated well once a few errors reared their ugly heads and were dealt with quickly. They were facilitated and duly reported by Automatic Bug Reporting Tool (ABRT), one of my favorites in the Fedora family of software, and they were not big enough problems to infringe on the user experience once the reports were sent. GNOME behaved well on Fedora 21 and simple tasks like surfing the Web, taking and editing photos, and running a few bash scripts on the terminal all went swimmingly. I gave DevAssistant a spin with a little bit of Python, and it performed remarkably. It is an interesting tool which I hope will assist developers going forward. 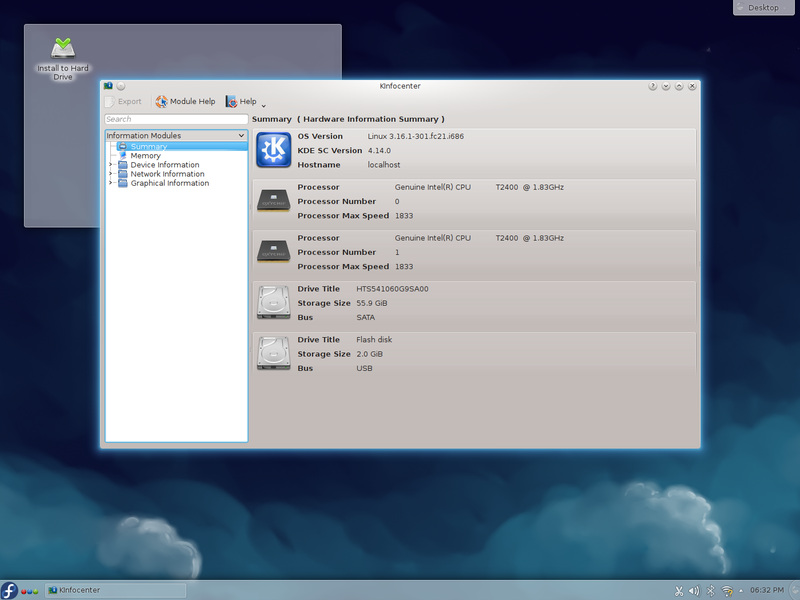 Fedora 21 comes in a variety of desktop spins, like KDE 4.14, pictured here. The KDE version of the F21 Alpha did not turn up the same errors upon starting, which I thought was interesting. The KDE version uses KDE 4.14, which is something I’m familiar with as a regular user of Korora 20 KDE. While there’s nothing much to say about not having the same errors as the GNOME version on startup, the performance of the KDE version was on par, if not exceeding, that of the GNOME version. Both seem to be solid and dependable, and jumped through all the hoops I set up for each – various Web surfing tasks, bash scripts, photo editing tasks — without failure. With the beta version about a month away, due at the end of October, and the final version slated for a December release, Fedora has gotten off to a good start with Fedora 21. It appears that Fedora is on the way to making yet another user friendly and powerful Linux distribution that can be utilized by computer users with a wide range of skills – from the neophyte to the experienced – while still being strong and feature-filled enough for the developers among us. To download Fedora 21 Alpha, visit the Fedora Pre-Release Page. I think it’s “Twenty One” – maybe a play on names or something?